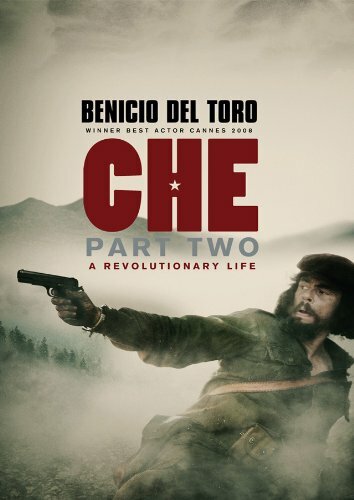 As Che Guevara, Benicio Del Toro is magnificent in part 2 of this excellent bio pic. Che has left Cuba to start an even more daunting Latin American revolution, starting in Bolivia. As he trains his cobbled-together forces, his asthma takes its toll and even when the cause appears lost, he remains defiant.